Our company Innovative Paper Store is leading manufacturing company of Paper Stars, Paper Decorations, Rosette Fans and Paper Snowflakes. Innovative Paper Store's handmade and hand-crafted hanging Paper, Star Lanterns are exceptionally beautiful as a home decor accessory or as an outdoor Wedding or Party Decoration. Paper Stars are commonly used Paper Product as Home Decoration. Our Paper Star Lantern and Recycled Paper Lamps are made of high-quality and made from thick recycled paper, punched with a special star or snowflake design. Paper Stars are multipurpose utility product as it used not only for Home Decorations but also Seasonal Decoration purposes. Our Decorative Paper Star comes in many sizes like 100 cm, 75 cm, 65 cm, 50 cm and 45 cm. Available in many assorted colors and patterns and designs our unique and authentic star lanterns or Paper Snowflakes can be hanged on windows and outside house or near your entrance. Our Paper Stars are produced in our factory by our artisans. We are manufacturing Paper Snowflakes and other Home Decorative Products which will make a beautiful display or decoration in any room in the home. Our Handmade Party Decoration adds a fun and thrilling touch to any party or event and you can pair with one of our Paper Lamps along with cord kits to create wonderful ambiance lighting at your home or office or any other loved places. The Paper Stars and Paper Snowflakes are Handmade and derived from Recycled Cotton Waste Paper. Paper Stars also comes in different names as per their respective styles. Paper Snowflakes and Paper Star can also be called as Christmas Star or Eight Point Star and also sometimes referred as Ribbon Star. Our company offers premium Paper Lanterns in various sizes and colors. From any occasion or party event or any kind of decor to home adornments, our paper lanterns are the perfect suitable ambient lighting choice for any kind of personal or official setting. Our handcrafted handmade paper lanterns are of exceptional quality and easily bring instant charm and happy feelings to any space. We specialize in the design and production of Handmade Paper Ornaments used for Christmas Tree Decorations and other kinds of Decorative Lightning like Home Décor. Our Paper Snowflakes also suits many of wonderful occasions like Party Decorations, Christmas Party Hangings, New Year Decorations even generally may be used as for event like Easter, Halloween and more. Are you looking for a specific kind of paper lantern? Use our more than 250 designs of variety in Paper Stars and Paper Lantern to find any shape, including round, square, star, oval, bulb, cocoon, and beehive. Our premium handmade paper lanterns are also available in over more than 100 solid colors that can easily match across uour other product types like paper hand fans, paper parasols, paper snowflakes, and, so you can really complete the look for your party decor! Our extended variety of Paper Star also includes Wedding Decoration, Promotional Campaigns and Window Dressing. We also have a large range of variety on Printed Paper Star, Multi Pointer Paper Star and Paper Zen decorations. Our Paper Snowflakes are primarily named after Doily Lamp. 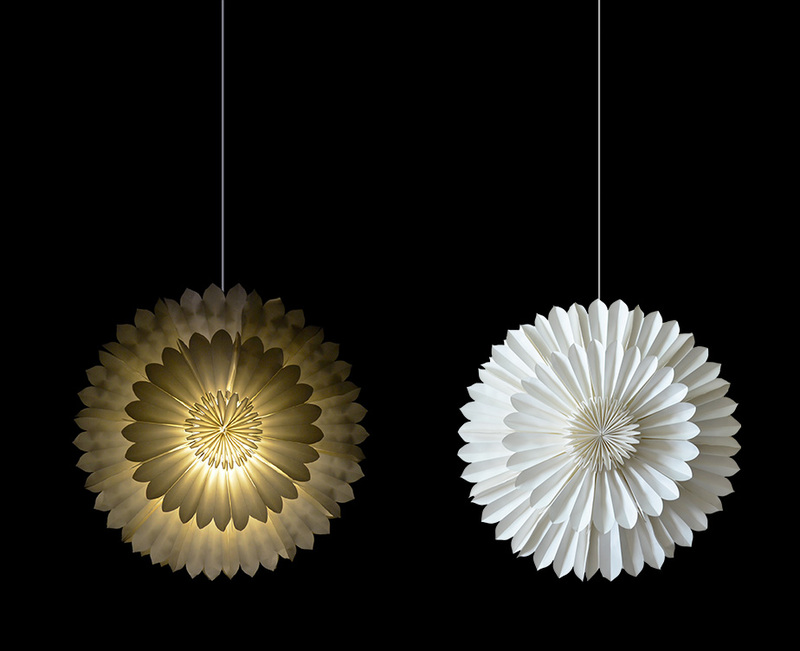 These Doily Lamps are major part of Paper Decorations and are recommended worldwide for Home Decorative purposes. Not only are we completely Fair Trade Certified unit but also 100% compliant unit. We are continuously working on developing new styles of Paper Stars, Snowflakes, Hanging Decorations and Paper Garlands. All these items mainly Paper Stars and others are made from recycled handmade paper. For proper inside cutouts in Paper Stars we use laser technology. All items are Sedex Certified and Fair Trade Products.